He's one of hockey's most giving players, but that doesn't mean Bruno Gervais waits until the season gets underway to get into the swing of things. Gervais, who has played his entire National Hockey League career with the New York Islanders, recently teamed up with Maxime Talbot of the Pittsburgh Penguins, to host their second annual golf tournament, The Gervais-Talbot Open, which was held on July 9 at the Club de Golf St-Hyacinthe, in St-Hyacinthe, Quebec. Profits will go to an organization which helps autistic children: the Fondation Les Petits Trésors (Foundation for Little Treasures), which focuses on autism research. Funds will also be contributed to two other organizations which help children from underprivileged families. “I didn't know a lot about autism, but I was at a golf tournament in Regina few years ago and I met a man who has a young kid that is suffering from the disorder,” recalled Gervais. “After that, I got to know more about it and met more people who are affected by autism. Gervais' commitment to his team and teammates is only rivaled by his dedication to worthy causes. And he wouldn't have it any other way. Whether it's a trip to a hospital to spend time with sick kids or visiting Long Island hockey rinks on teaching hockey skills to young Islander fans, Gervais never disappoints. Ask him, however, who gets the most out of the interaction, and the Quebec native is insistent he is the one that truly benefits. A graduate of the Quebec Major Junior Hockey League's Acadie-Bathurst Titan, Gervais played three seasons with Acadie-Bathurst registering 76 points (30-46-76) despite missing the better part of the 2003-04 season. Despite his easy-going manner and comfort level around others, that wasn't always the way. In fact, Gervais admits he's a much different person now. 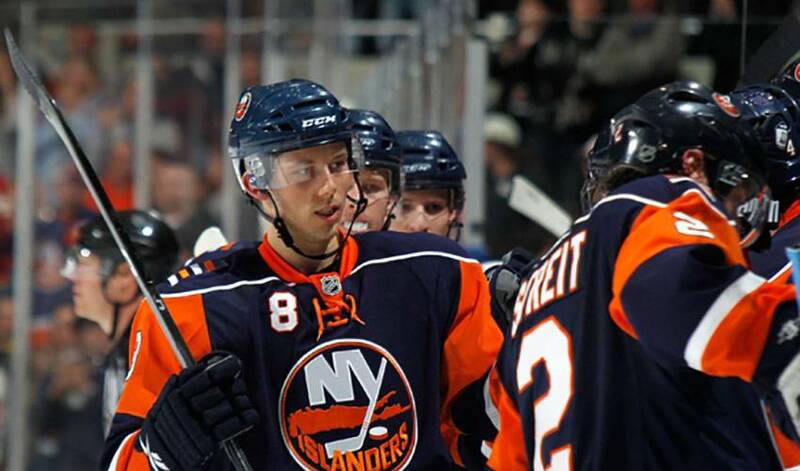 Following his three-year stint in the QMJHL, Gervais made his professional debut in 2004-05 with the AHL's Bridgeport Sound Tigers before going on to make his NHL debut with the Islanders in 2005-06. He signed a three-year contract with the Isles in 2008, a deal that will keep him under contract until the 2010-11 season. His reputation as a good guy extends far beyond Long Island, something one of his fellow Quebecers recently discovered. As for his hockey life, Gervais is looking forward to doing his part to put the Islanders back in the playoff spotlight. But not even a hectic schedule and great on-ice expectations will stop Gervais from fulfilling his role as one the game's great ambassadors. Finding ways to connect to hockey fans and giving back to the game are what matter most to friends and teammates Max Talbot and Bruno Gervais.